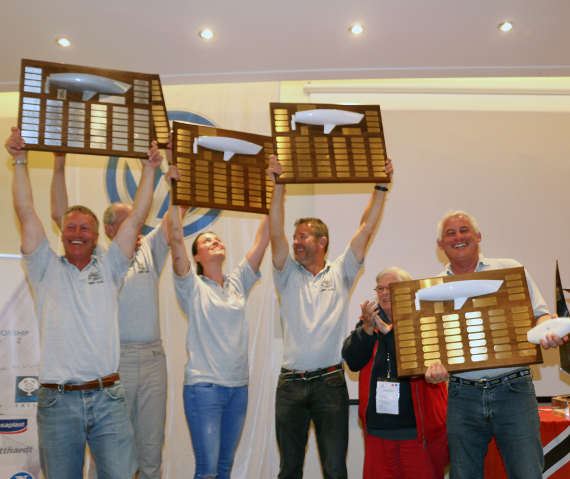 German JJ-ONE Crowned J/24 World Champions 2016! 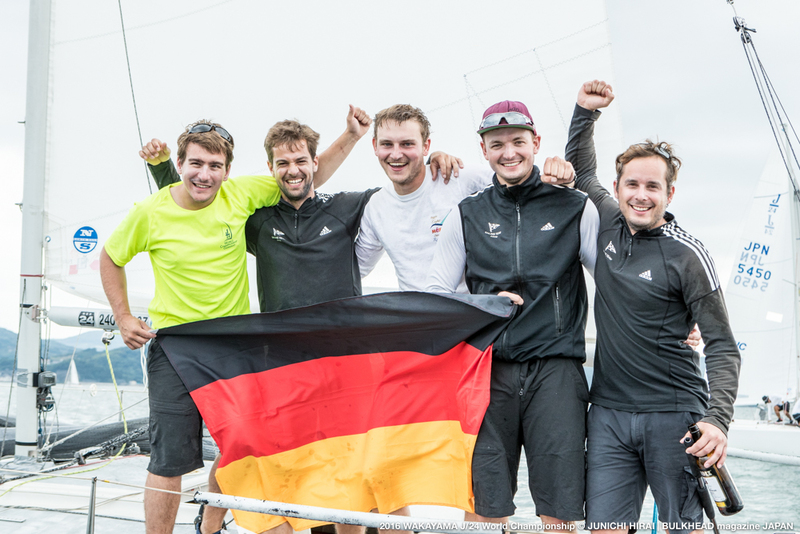 German JJ-ONE Crowned J/24 World Champions! 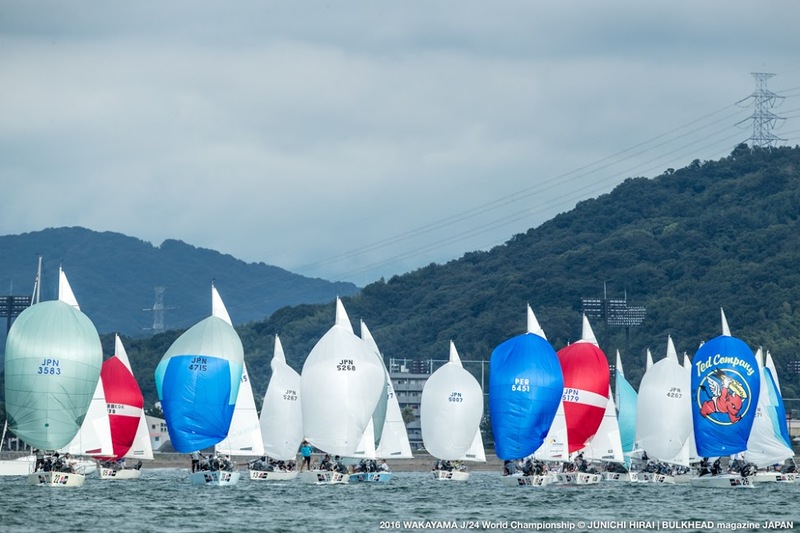 (Wakayama, Japan)- Forty-four J/24 teams attending this year’s J/24 World Championship in Wakayama, Japan. 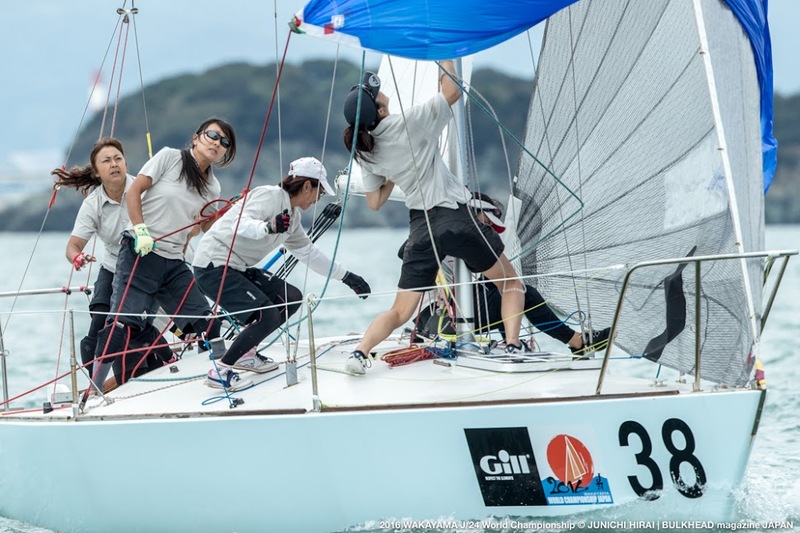 With a tropical storm heading toward the area, it was the calm before the storm on day one of the J/24 World Championship. 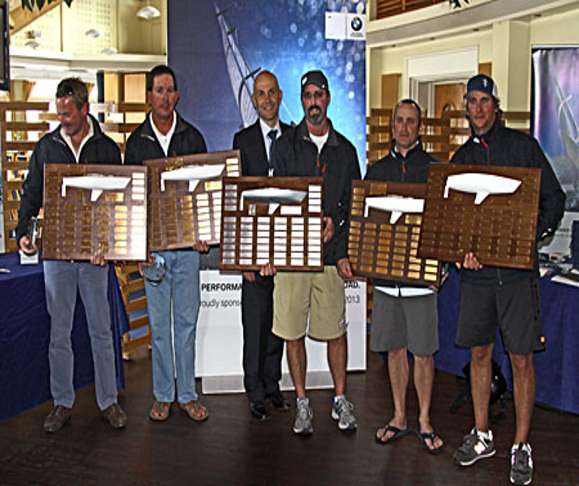 The J/24 teams representing Germany, Great Britain, Japan, Korea, Peru, Singapore, and the USA kicked off the Championship in winds of 4-6 knots over two races. Daniel Frost’s JJOne of Germany mastered the conditions with a 1,2 to grab the early advantage in the five-day event. 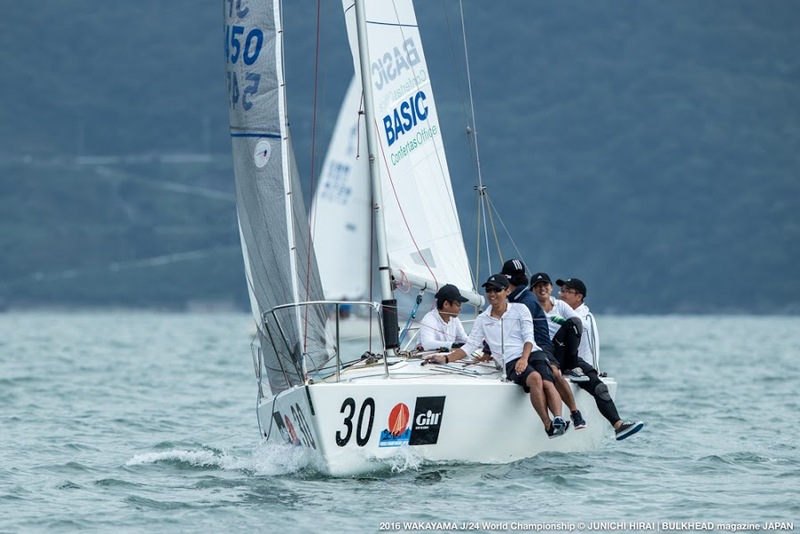 Demichi Kousuke’s Ichimokusan of Japan held a slim lead on second place, just one ahead of Peru’s Javier Arribas on Hawky. The day’s race winners were Frost in race one and Naoto Kitazume’s Maril in race two. For day two- Tuesday- the slow-moving tropical storm dampened the day’s proceedings. The entire fleet was kept ashore with the AP flag flying all day as heavy rains and stormy winds blanketed the area.